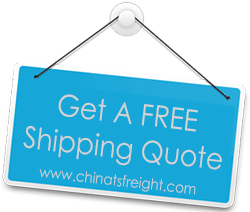 At TS Freight, we offer a wide range of import services for your freight import from China to New Zealand. Our much-acclaimed Air Freight Shipping and Ocean Freight Shipping services have brought us to the fore of China’s international goods transport industry. Through over 10 years of service, we have also managed to forge important connections with the best transport carriers between China and New Zealand. This benefits our customers who get the most cost-effective and efficient services on the route. When a client hires our services, we ensure that their experience is as fuss-free as possible. Our responsibilities in the import process include door to door delivery, which means that we handle custom procedures, cargo insurance, inland transportation and direct deliveries at your doorstep. We also take care of cargo pickup at source, packaging, inventory, loading and unloading. Our handlers at the destination port or airport work efficiently to get your cargo across to you in a timely manner. While your cargo is in transit, we also monitor each stage and send you regular updates on the status of your goods. Our logistics system has gained much from our experience in the industry and we have trained our staff in world-class coordination and managing of the import processes. Our resources and facilities enable us to handle cargo of all volumes, big and small. We also handle goods of any kind, allowing all types of businesses to import through us. If you choose our service for cargo shipping from China to New Zealand, you can rest assured that the best trained staff in the industry will be in charge of your goods. We can import from most major Chinese cities including Shenzhen, Shanghai, Ningbo, Xiamen, Hong Kong, etc and move your goods to major New Zealand cities including Auckland, Wellington, Hastings, Napier, Hamilton etc.